About twice a year, some snail mail loving friends and I put our heads together to organize a swap. Well, it's that time again... time to spark some creative ideas and brighten up mailboxes with pretty mail. Gather your favourite supplies in all the best Autumn shades and come join us! 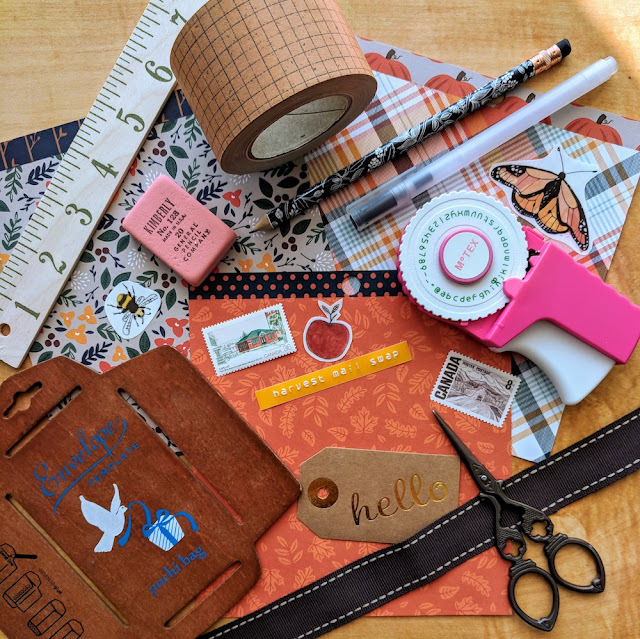 The Pretty Postal Harvest Mail Swap asks you to take your love for all things autumnal and express them in mail form. Participants exchange themed mail with a group of 2-4 partners from around the world (or close to home). Please sign-up by October 7th! 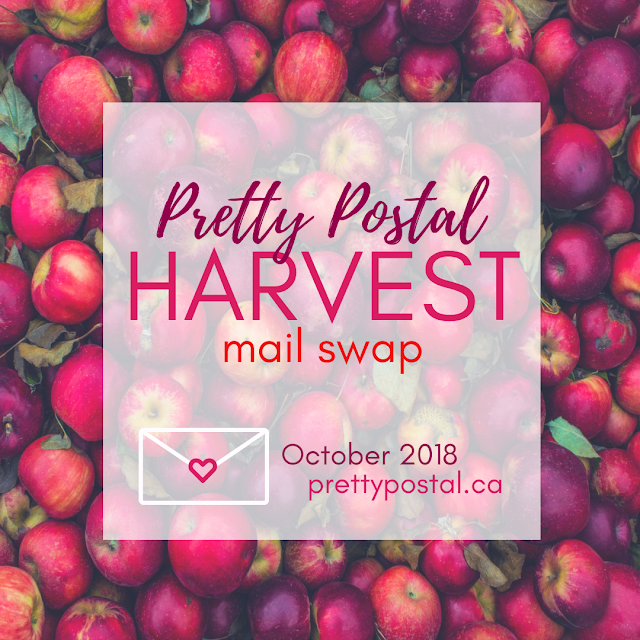 Pretty Postal swaps are free to join, international-friendly and open to anyone over the age of 18. For full details and sign-up info, please click here. If you have any questions about this swap, Pretty Postal or mail swaps in general, please feel free to ask! What a great idea! I think I will join!! Super idea... hope lot people would join. good luck.